Visiting Societies are welcome throughout the year and tee times will normally operate 8.30am - 10.30am and 12.30pm - 2.30pm on all weekdays except Tuesdays when the afternoon only tee time will apply. 3 or 4 balls only. Texas Scramble competitions singles format are not permitted. All visitors should have a good knowledge of the etiquette of the game and a bona fide handicap. The course is not suitable for beginners. Blackmoor is conscious of the need to ensure that both Society visitors and Club members are able to enjoy their round of golf and, with this in mind 4-ball games are expected to be complete in 4 hours 15 minutes and 3-ball games In 3 hours 45 minutes. Demin-jeans, collarless shirts, football, and rugby shirts, untailored shorts, trainers and sports shoes are NOT permitted. Gentlemen may NOT wear cropped 3/4 length trousers. Trousers must NOT be tucked into socks, and men's shirts must always be tucked into trousers or tailored shorts. Golf shoes must be worn when playing (except by Juniors under 14). The dress code is smart casual at all times. Single-coloured denim jeans are permitted provided they are not ripped or vented, but demin jeans and tailored shorts must not be worn in the dining-room when the dress code is jacket and tie. Mobile telephones may only be used in the Clubhouse foyer and Car Park. Societies and Visitors are not permitted to bring pets to the course. 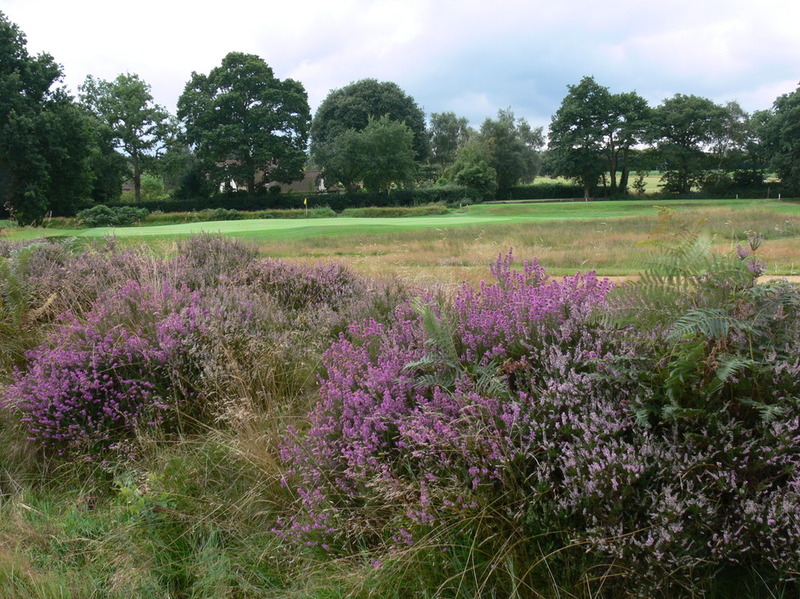 Blackmoor Golf Club cannot be held responsible for any loss or injury suffered to any person whilst on its premises or grounds. A non-refundable deposit of £100 is required at the time of booking and must be submitted with the Booking Form when confirming your booking. Blackmoor Golf Club and its facilities are only made available to a limited number of Societies each year and to avoid unnecessary administration and disappointment to other potential visiting groups reservations can only be considered firm on payment of the deposit. Organisers are requested to make an accurate as possible assessment of numbers when booking. Final numbers must be confirmed no later than 7 days prior to the date of the event. These are the numbers you will be invoiced for (unless we have mutually agreed to an increase). If more than one month’s notice of cancellation is received in writing the deposit will be accepted as the cancellation charge. Less than one month’s notice will incur a 50% of the total package cancellation fee. Unless the course is closed no reductions can be made for inclement weather conditions.